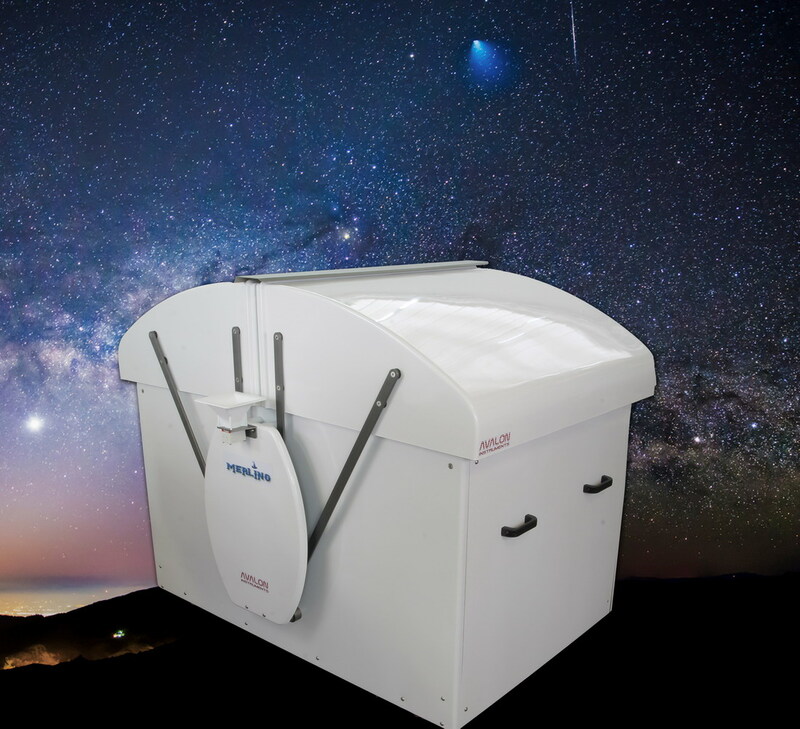 Merlino is the new Personal Remote Observatory designed by Avalon-Instruments to be totally "user friendly", the current state of the art in providing you with a vastly more comfortable and efficient use of your telescope, allowing the photographic using from remote darker sky locations, when time is limited or weather conditions are uncertain. The main benefits of our new design is its compactness and simplicity of use. Located inside is the PC, a Router, a dedicated electronic board that manages an entire series of sensors for complete control of your system, in terms of both functionality and safety. The system is controlled by a custom made software interface that allows the Merlin to be used in a mode not dissimilar to a typical mobile setup. In fact, software applications that you are likely already familiar with, are integrated into the system, further increasing ease of use. User Friendly is # 1 with your Merlino!